The Secretary General of the NATO bloc has expressed condolences to the families of the victims of the Domodedovo airport attack and said that NATO and Russia were united in fighting the threat of terrorism. ­“I am shocked by the terrorist attack at Moscow’s busiest airport. I strongly condemn this horrific act. I express my condolences to the families of those killed and injured and to the Russian people,” Anders Fogh Rasmussen said in the statement published on NATO’s official website. “We are in this fight together. This is why in the NATO-Russia Council we have to strengthen our cooperation in the fight against terrorism. This is a common threat that we have to face united. NATO expresses its solidarity with the Russian people and Government,” Rasmussen said. 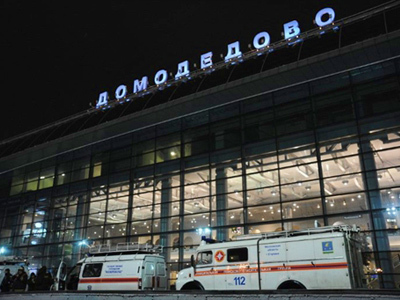 A powerful blast ripped through the arrival hall of Moscow’s Domodedovo airport on Monday afternoon killing over 30 people and injuring more than 100. Russian officials, including President Medvedev, said that the explosion was caused by a terrorist attack, probably by a suicide bomber. Foreign Ministries and leaders of Bulgaria and Poland also expressed their condolences to the Russian people in connection with the attack. The president of Belarus, Aleksandr Lukashenko, sent his condolences to his Russian counterpart. Franco Frattini, the head of Italian Ministry of Foreign Affairs, has labeled the Domodedovo terror attack “barbarian and unforgivable.” He expressed his condolences to all of the Russian people and stressed that Italy fully supports the Russian government in its struggle against terrorism. ­US President Barack Obama has condemned the blast and said it was “an outrageous act of terrorism against the Russian people.” He also extended his condolences to the people of Russia, who he said have suffered greatly from terror attacks. ­UN Secretary General Ban Ki-moon has condemned the terror attack, saying such acts against innocent people have no excuse. He also expressed his condolence to the families of those killed and injured, and to all of the Russian people and the country’s government. The UN Security Council has condemned the blast, too. It is going to start its session on Tuesday with a minute of silence. EU Foreign Policy chief Catherine Ashton also condemned this act of terrorism and expressed her solidarity with the Russian people, as well as offered her condolences to the families of those killed. ­Serbian Minister of Internal Affairs Ivica Dacic critically condemned the recent events at Moscow’s Domodedovo Airport. He said Serbia will give any support to Russia in searching for those responsible for the terror attack and in the fight against terrorism on the whole. Dacic added that Serbians expressed their sincere condolences to Russians in connection with the deaths of innocent people. ­Polish President Bronislaw Komorowski and Prime Minister Donald Tusk have also expressed their condolences. “We have met the report about today’s terror attack with great sorrow,” reads the telegram sent by the Polish leader to his Russian counterpart. He sent his condolences to the families of victims and wished a speedy recovery for the injured. 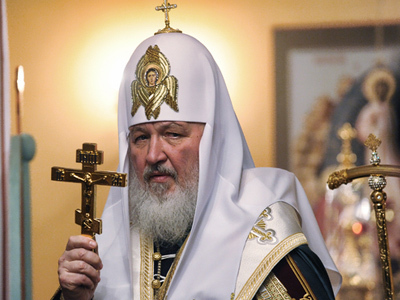 He stated that on this day of mourning the Polish people express their solidarity with Russians. Tusk echoed the Polish president, saying his country critically condemns all acts of international terrorism. 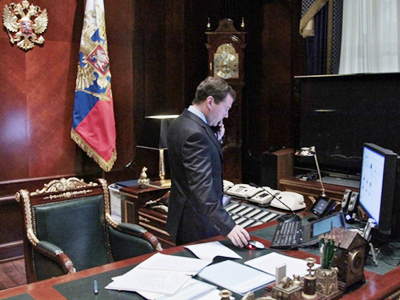 Earlier tonight, Foreign Minister Radoslaw Sikorski sent his condolences to Sergey Lavrov, the head of Russian Ministry of Foreign Affairs. ­Latvian President Valdis Zatlers has sent a letter to his Russian counterpart, expressing his and his country’s true condolences for the deadly events in Domodedovo. Prime Minister Valdis Dombrovskis, Foreign Minister Girts Valdis Kristovskis, Interior Minister Linda Murniece and the speaker of Latvia’s parliament, Saeima Solvita Aboltina,valso sent their condolences to the Russian people. For its part, the Latvian Ministry of Interior Affairs offered Russia the help of its Antiterrorism Center experts. Bulgaria, Egypt, Germany, Greece, Slovakia, Spain and UK also condemned the outrageous attack against innocent people at the airport. Some experts say that governments around the world should unite in a joint effort to prevent similar incidents. Walid Phares, an expert on global terrorism, believes that the Domodedovo terrorist attack is a message to the international community, and that governments will have to pay more attention to such vulnerable areas as civil airports. “I think that in the next few weeks there will be an important push – both in Washington and Brussels, the European capital, and of course in Moscow – to sit down together and think of a proposal that the United Nations should have an agency that would go after those who are inciting for violence worldwide across the borders,” he told RT. According to reports coming from Russian investigators, two Britons are among those killed. 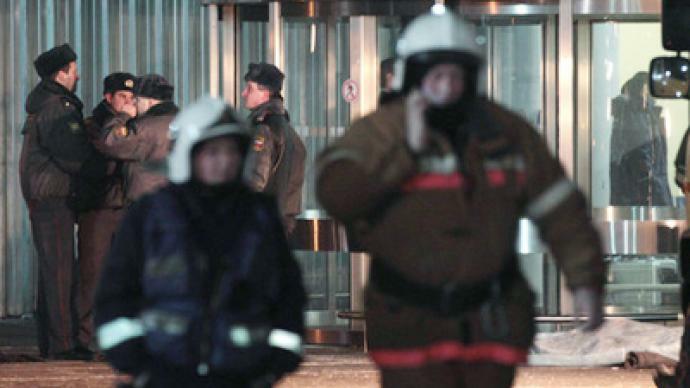 Several foreign embassies in Moscow have confirmed that their nationals were injured in Monday's explosion at Domodedovo Airport. 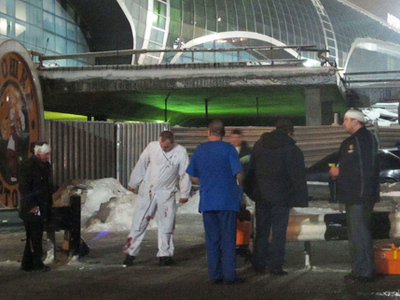 One Slovak and one Italian were injured, their embassies reported, according to the Itar-Tass news agency. Six citizens of Tajikistan were injured. The German and Turkish embassies are checking information on their nationals. A citizen of Serbia has been hospitalized with injuries. Russia’s Ministry of Health and Social Development said earlier that citizens of Italy and France were injured.